The alert gives me a good read on perceptions about public relations, the often-misunderstood profession in which I serve. They give the impression that public relations strategies and tactics are nothing but fluff designed to distract people from the truth. Some even quote so-called experts putting down a leader or organization for employing public relations practices such as town hall meetings, appearances in the media or memorable slogans. They must have forgotten their history lessons. Was the Boston Tea Party a PR stunt? Was Thomas Paine’s Common Sense a bunch of fluff? Was Don’t Tread on Me a meaningless slogan? Public Relations gets a bad rap in some circles. I guess that’s our fault. I’m glad organizations such as the Public Relations Society of America (PRSA) and International Association of Business Communicators (IABC) have taken steps to address the misconception. PRSA offers an Accreditation in Public Relations (APR), which consists of oral and written tests. I have had mine since 1998. Thanks for giving me a little time to share something that’s been in the back of my mind. I usually try to report best practices here, or at least something I’ve tried and turned out to be a worst practice. Or maybe a review of a book I’ve read. 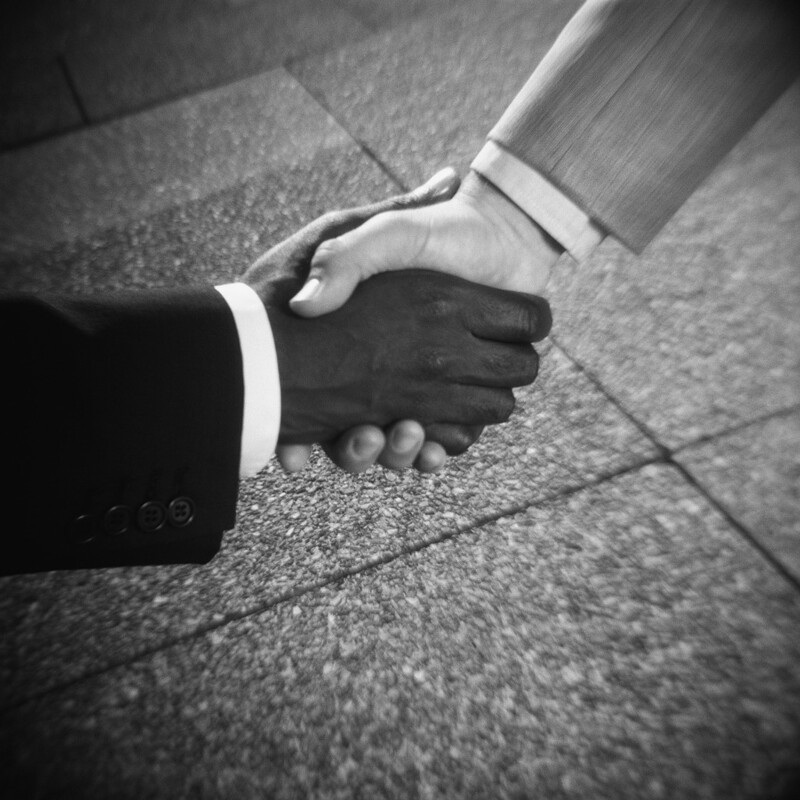 If you have any thoughts about public relations’ image, please share in the Comments. I’d love to hear what you have to say. Comprehensive. 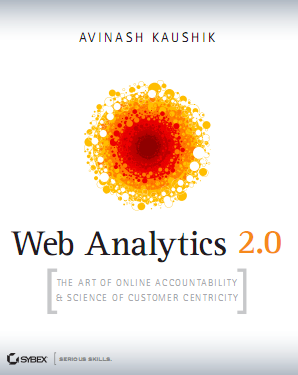 That’s the word that comes to mind — and stays there — when describing Web Analytics 2.0: The Art of Online Accountability & Science of Customer Centricity by Avinash Kaushik. This book is packed with 475 pages of information about online marketing. Plus, you get a CD with podcasts, videos and presentations. To top that off, there’s a $25 Google Adwords coupon. And all of the proceeds from the book go to two charities, The Smile Train and The Ekal Vidyalaya Foundation. Kaushik, author of the research and analytics blog Occam’s Razor and the Analytics Evangelist for Google, covers an amazing amount of detail. He walks you through step-by-step approaches for selecting measurement tools, setting them up to capture relevant data, and sorting, analyzing and reporting findings. He shares best practices for blending online research with offline digging. Kaushik does a great job of keeping what could be a dry topic very entertaining. His conveys his thoughts in conversational style. I’m planning to use this book as a reference as I strive to implement up-to-date PR measurement practices in place in my day job. It also will help me support marketing of my wife’s upcoming book From Incurable to Incredible: Cancer Survivors Who Beat the Odds. I’ve highlighted portions dealing with areas such as what to measure, how to do usability testing, how to administer surveys…. Already, a section on quick tagging has given our IS manager at work a process that will allow us to compare Web Trends against Google Analytics. Many parts of the book didn’t pertain to me, though. They were written more to large corporations with big Web teams, including several (or more) people with full-time jobs as Web analysts. I skimmed those pages. And I’ve decided that I’ll need to enlist the help of someone who loves working with numbers and Excel. I’m a word person, not a data cruncher. Still, for the reasons mentioned above, I highly recommend this COMPREHENSIVE book. Ok, I admit it. I’m a LinkedIn groupie. As of this writing, I belong to 44 groups on the social network for professionals. Come to think of it, I may add six more and hit the maximum of 50 after hitting the “Publish” button on this post. Why am I such a groupie? Because LinkedIn groups help me connect with strategic audiences — communities interested in topics of high importance to me, such as: Public Relations, Social Media, Government, Cincinnati and Cancer Survivorship. This year, I’ve learned a lot about LinkedIn groups while serving as social media chair for the Cincinnati chapter of the Public Relations Society of America (PRSA). Chris Kemper, the chapter’s 2010 president, challenged us to offer more value to members. He envisioned the Cincinnati PRSA LinkedIn Group as “the place” for local PR pros. Our Social Media Strategic Plan revolves around getting chapter members (and non-members, for that matter) more involved in the group. We want members to share links to news items, start discussions and post job openings — and, on the other end, read and comment on news items and discussion topics. We’re counting on members of the chapter’s Leadership Team to get things started. We’re challenging people to add at least one news item or discussion topic a month. I’ve promoted involvement in the agency’s newsletter, at leadership team meetings… whenever I get the chance. Things are building slowly, but surely. Right now, we’ve got six discussions going — each with two or three comments. Seven or eight people are posting news items and job openings. It’s not as lively as I’d like, but at least it’s a start — a big jump from the days when the group pretty much consisted of people promoting their upcoming events or media coverage they’d gotten for a client. Outside of PRSA, I have had good success drawing readers to this blog by posting links to relevant topics on group discussion boards. For example, I put last week’s post about my wife’s cancer survivor blog on groups such as Komen Foundation, LiveStrong and American Cancer Society. I posted my writeup about Cincinnati PRSA Media Day on various public relations blogs, drawing record numbers of visitors. There are many uses for LinkedIn groups. Most importantly, they give me a clear channel to professionals interested in areas of strategic importance to me. For those who want to learn more about LinkedIn, I’d recommend Neal Schaffer’s excellent book. Here’s my review. Well, time to search out some more groups. 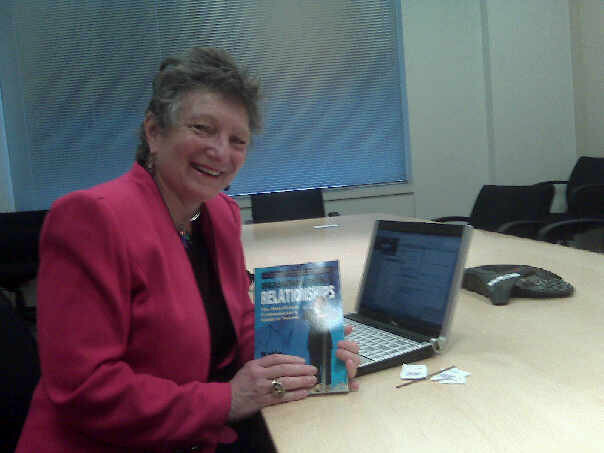 I’m definitely a LinkedIn groupie.